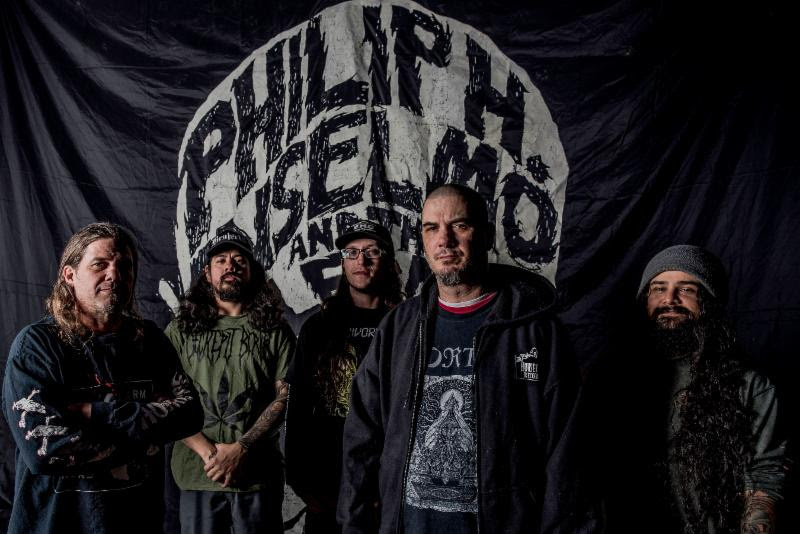 Stream / Share PHILIP H. ANSELMO & THE ILLEGALS’ Choosing Mental Illness As A Virtue atTHIS LOCATION. Hear Choosing Mental Illness As A Virtue now courtesy of Revolver at THIS LOCATION. Choosing Mental Illness As A Virtue will see release on CD, vinyl, and digital formats in North America via Housecore Records and in Europe by Season Of Mist. Physical preorder bundles are currently available via the Housecore Store at THIS LOCATION. For digital orders, point your browser HERE. PHILIP H. ANSELMO hasn’t just paved his own path; he’s bulldozed it with his bare hands. His primal, powerful presence led Pantera to Grammy Award nominations, sales of twenty million albums worldwide, legions of diehard fans, and an indisputable heavy metal legacy. Simultaneously, Down carved out a distinct niche with a gold-selling debut and three more critically acclaimed releases. Superjoint made a triumphant return in 2016 and in the midst of everything, ANSELMO joined Scour alongside members of Pig Destroyer and Cattle Decapitation and teamed up with horror icon Bill Moseley for the Bill & Phil project. However, PHILIP H. ANSELMO & THE ILLEGALS speaks to a certain need for him. Instead of treading the same ground, ANSELMO and his bandmates in THE ILLEGALS, open up another doorway altogether with their 2018 sophomore release, Choosing Mental Illness As A Virtue. It’s extreme, abrasive, aggressive, and anthemic. In other words, it’s purely ANSELMO. Following a successful maiden touring cycle for THE ILLEGALS, the frontman hunkered down at his home studio in Louisiana to record what would become Choosing Mental Illness As A Virtue in 2014 and 2015. The lineup shifted as Stephen Taylor (Superjoint) transitioned from bass to guitar, Mike DeLeon (Flesh Horder, Being Killed, ex-MOD et al) joined as a guitarist, and Walter Howard (Grieved, Oppressive Force) took over bass duties. Meanwhile, Jose Manuel “Blue” Gonzalez (Superjoint, Warbeast) held down the drums. Through rigorous rehearsals and writing sessions, a framework for the new music took shape as ANSELMO wholeheartedly welcomed the ideas of his cohorts.